Some work suggests that bullying due to stigma is worse than bullying not due to stigma. We are reviewing the literature on stigma-based bullying, with a focus on interventions that have been developed to address stigma-based bullying in different settings. 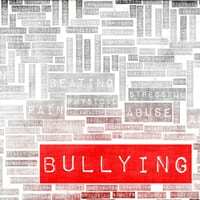 Lesbian, gay, bisexual, transgender, and queer/questioning (LGBTQ) students experience significant bullying that undermines their mental and physical health. We are working with Sari Reisner, ScD and colleagues in Boston to increase the capacity of school health professionals (including school nurses, psychologists, guidance counselors, and others) to address LGBTQ student bullying.